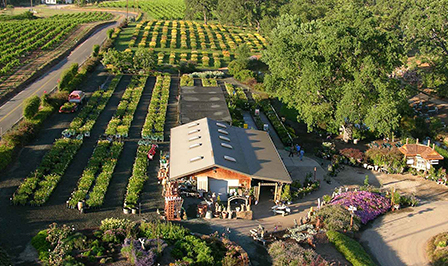 Take a relaxing stroll through the seemingly endless assortment of daylilies and garden accessories offered at nearby Amador Flower Farm, Deaver family owned and operated. 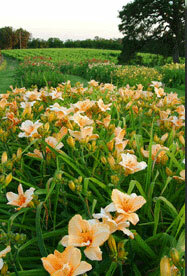 We offer nearly 1200 daylily varieties in pots all year at the Flower Farm, which is nestled in beautiful Shenandoah Valley, California, among world-renowned wineries and historic gold-mining towns, only an hour from Sacramento (and very near Amador Harvest Inn). A pleasant country drive will bring you to our fourteen acres of gardens, including growing grounds, a potted plant area, and four acres of landscaped demonstration gardens. Our nursery boasts a wonderful selection of deer resistant plants.